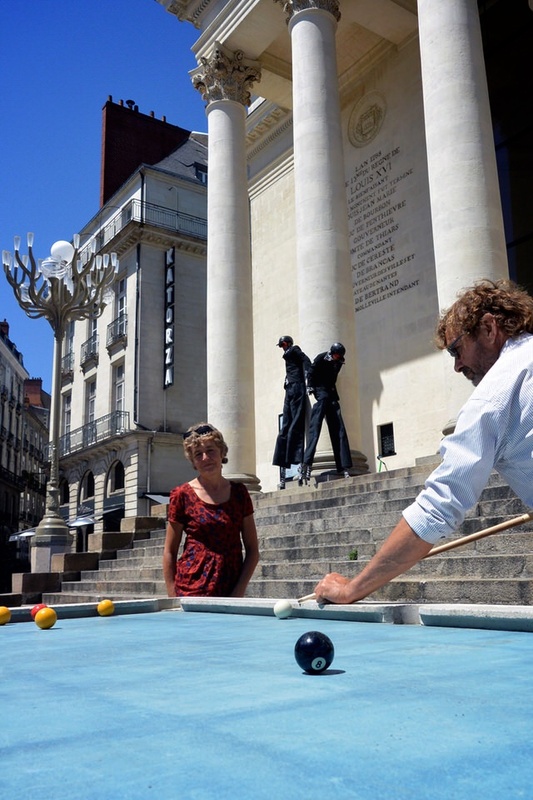 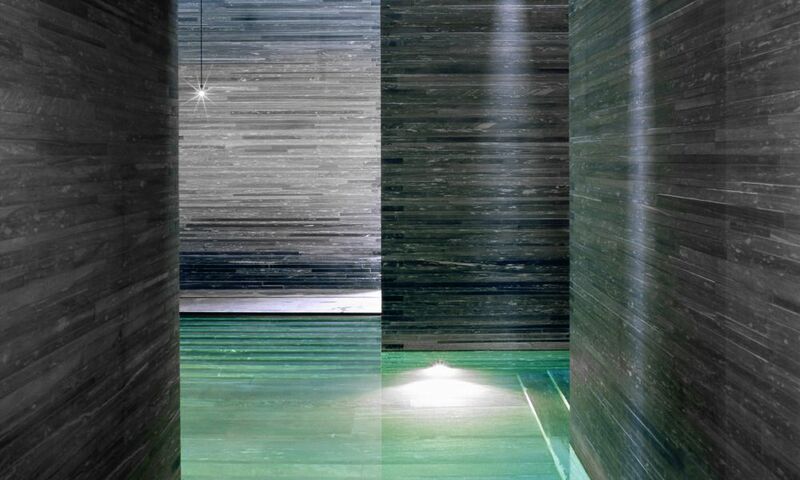 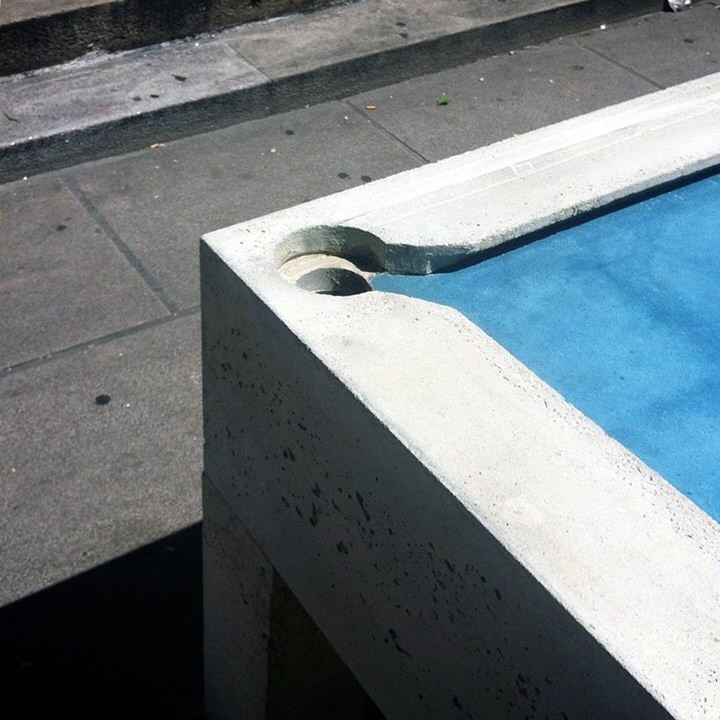 Designed by French architect Gwendal Le Bihan, Urban Pool (in French: ’Billiard Urbain’) is a concept he hopes will be adopted in further cities. 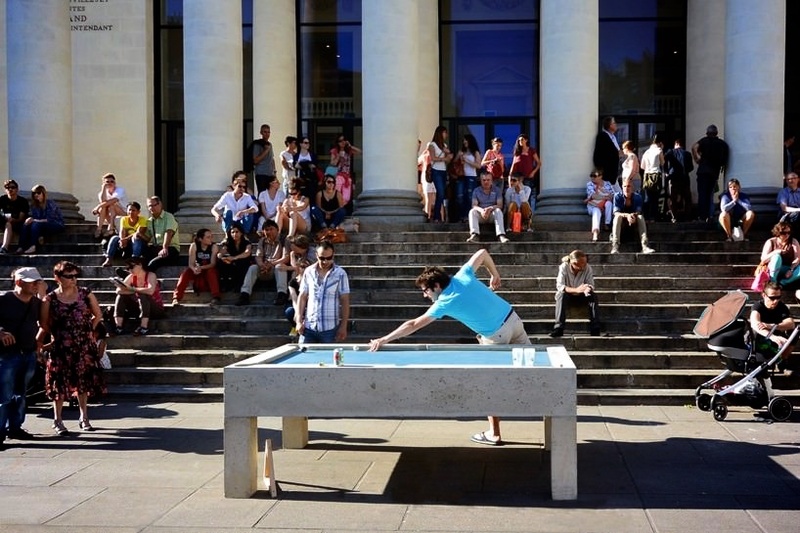 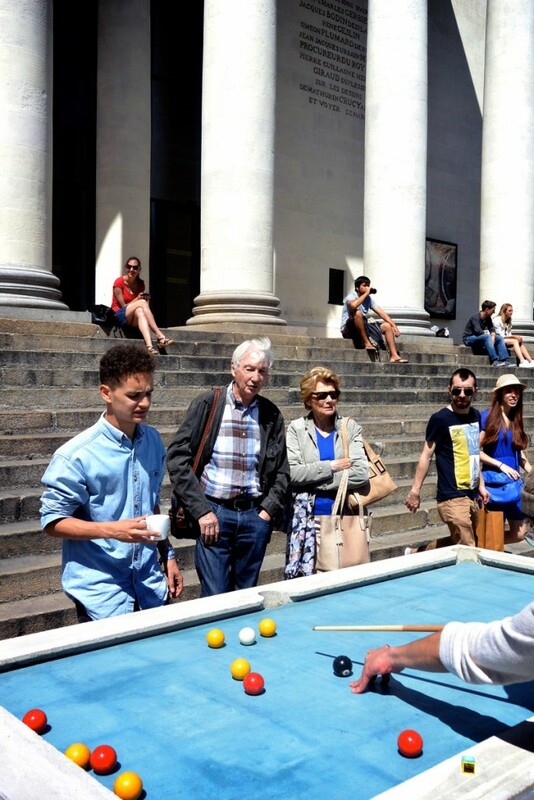 The first of the Urban Pool tables pictured here was set up in front of the steps of Théâtre Graslin in Nantes, France, and served as a public hub to boost a communal sense of play and interaction with strangers. 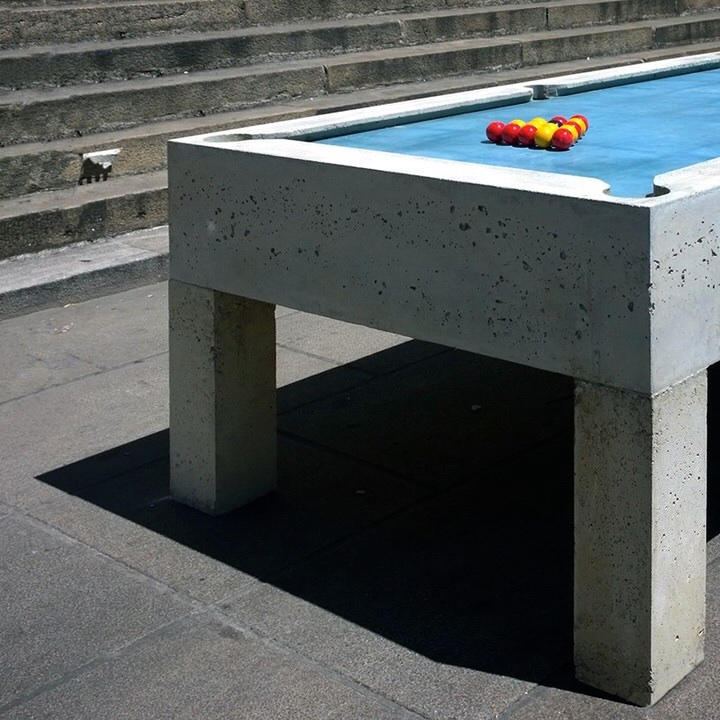 Obviously a piece of sporting equipment that is typically reserved for indoor and private settings required some special considerations when designing a version for an outdoors public setting. 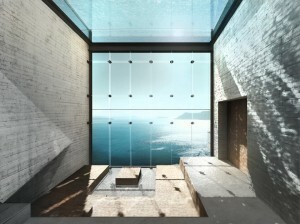 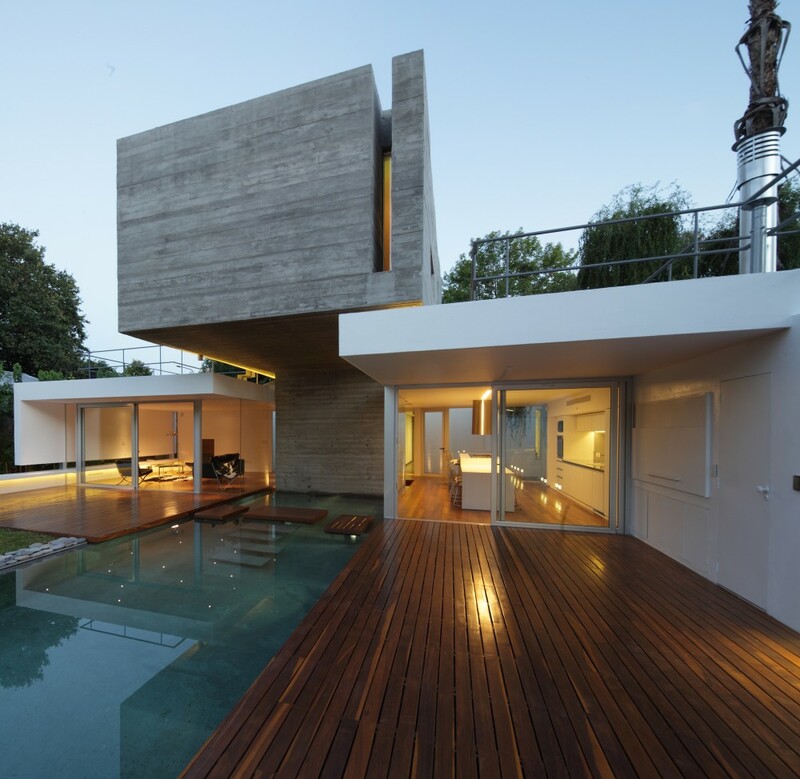 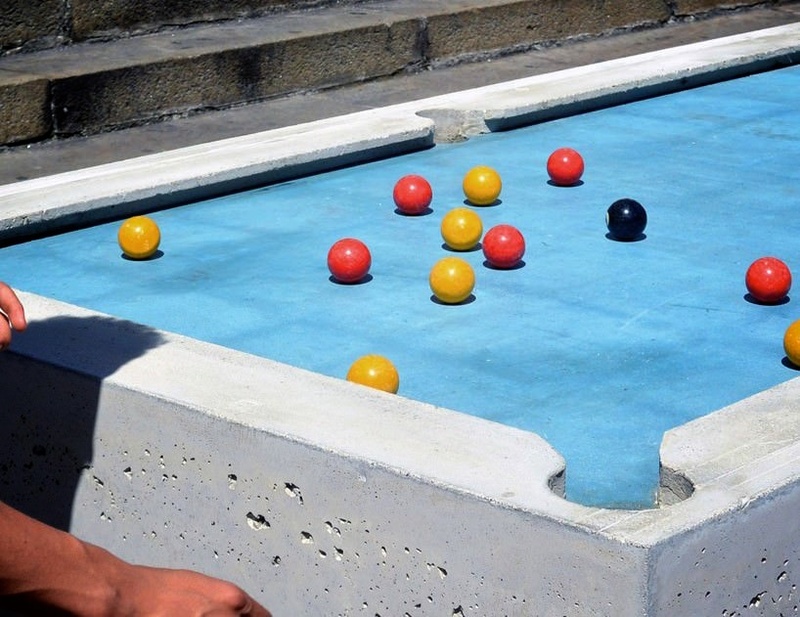 The construction had to be hardwearing and weather-proof, so cast concrete was used for the body of the pool table while a resin was used for the playing surface. 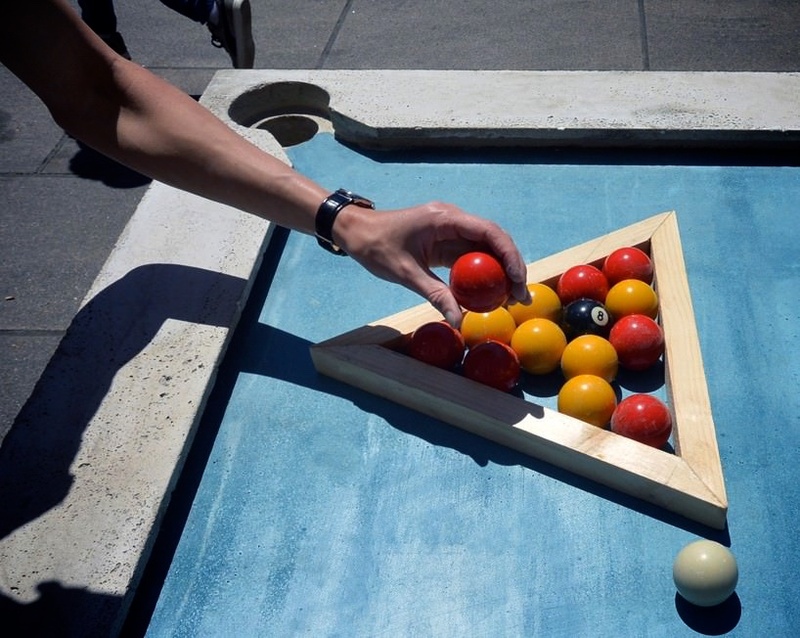 The Urban Pool table was designed to accommodate standard 8-ball and blackball pool versions, but players are encouraged to modify the game and develop their own rules for the new sport of Urban Pool, which Gwendal Le Bihan describes as somewhat ‘faster and more aggressive’.